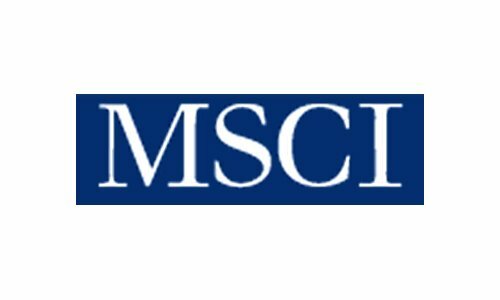 MSCI Inc. (MSCI) announced it has agreed to acquire GMI Ratings, a provider of ESG (environmental, social and governance) ratings and research to institutional investors, through its subsidiary MSCI ESG Research Inc. The transaction is expected to close in the third quarter, subject to customary closing conditions. Said Remy Briand, Managing Director and Head of ESG Research. The acquisition of GMI enhances MSCI’s position as a leader in ESG research. The addition of GMI’s corporate governance research and ratings will enable MSCI to offer its clients a depth and quality of coverage across all three pillars of ESG research that will be unmatched in the marketplace. These tools are growing in importance as investors seek to understand more fully the risks in their portfolios. GMI has long been a believer in the importance of incorporating ESG factors into the investment process. We believe that becoming part of MSCI, with its global footprint and resources, will significantly enhance our ability to do just that. MSCI’s ESG research and its strength in benchmarking make it a natural fit for GMI, and we are very excited about the benefits this transaction will bring to our clients. The total consideration for GMI Ratings is $15 million in cash, subject to customary closing adjustments. The transaction is not expected to have a material impact on MSCI’s results of operations for 2014. Davis Polk & Wardwell LLP acted as legal advisers to MSCI. GMI recently published its Risk 50 List, which represents companies that have “Very Aggressive” accounting and governance risk ratings. To view the Forbes article on America’s 100 Most Trustworthy Companies, visit here. Doesn’t $15M seem cheap, especially after $2B for LA Clippers? Steve Ballmer was crazy to spend that much for a basketball team, at least in my opinion. What lasting impact can he have? I wish I had $16M so I could have out-bid MSCI. What could be more fun than owning GMI Ratings and helping capital markets become more functionally efficient? The Clippers may be a pleasant distraction but GMI Ratings helps take the noise out of a gyrating stock market to ensure capital allocations are better aligned with the stars. GMI Ratings is a provider of research and ratings on environmental, social, governance (ESG) and accounting-related risks affecting the performance of public companies. The firm’s ESG ratings on 6,400 companies worldwide incorporate 150 ESG KeyMetrics® to help investors assess the sustainable investment value of corporations. The firm also provides Accounting and Governance Risk (AGR®) ratings on more than 20,000 public companies worldwide. Clients of GMI Ratings include leading institutional investors, banks, insurers, auditors, regulators and corporations seeking to incorporate accounting and ESG factors into risk assessment and decision-making. A signatory to the Principles for Responsible Investment (PRI), GMI Ratings was formed in 2010 through the merger of GovernanceMetrics International, The Corporate Library and Audit Integrity.